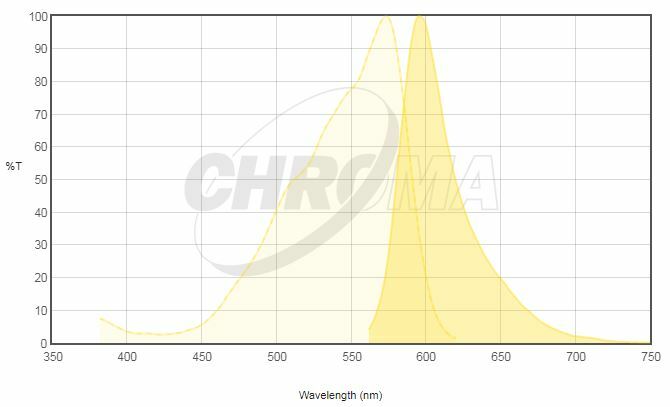 *** For filters larger than 25mm and dichroics larger than 26x38mm, please contact us for pricing. 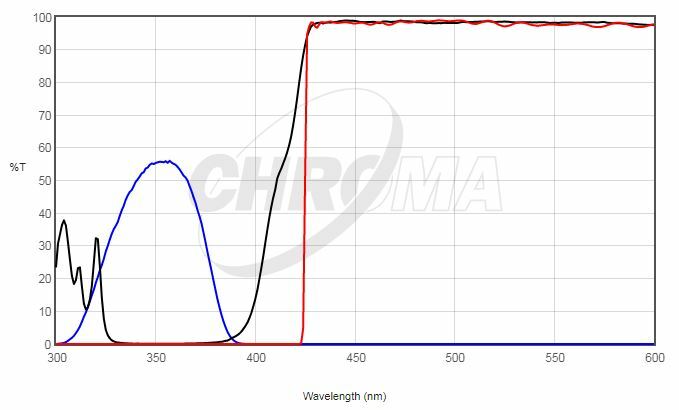 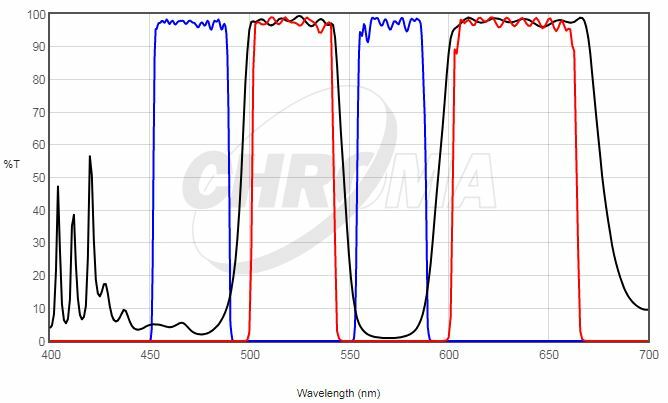 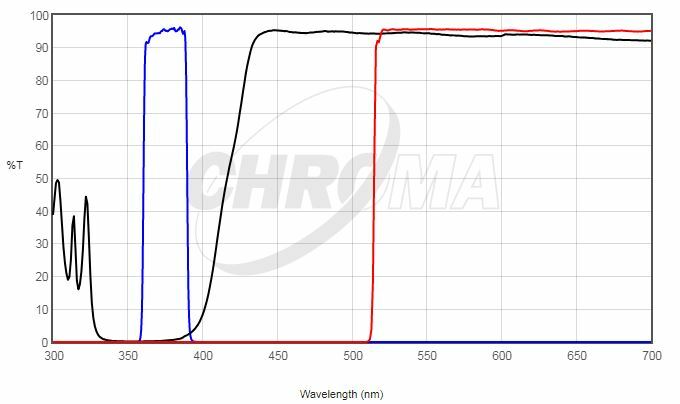 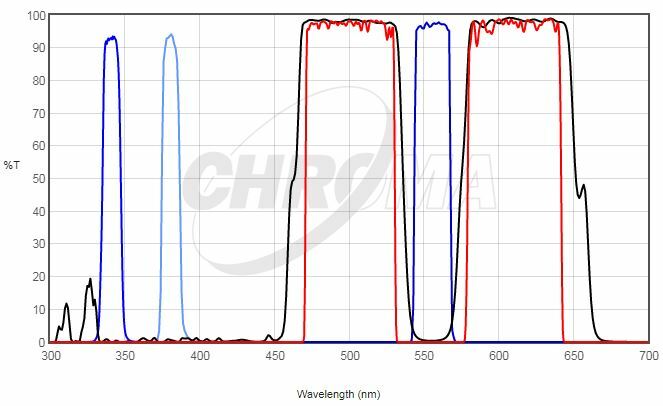 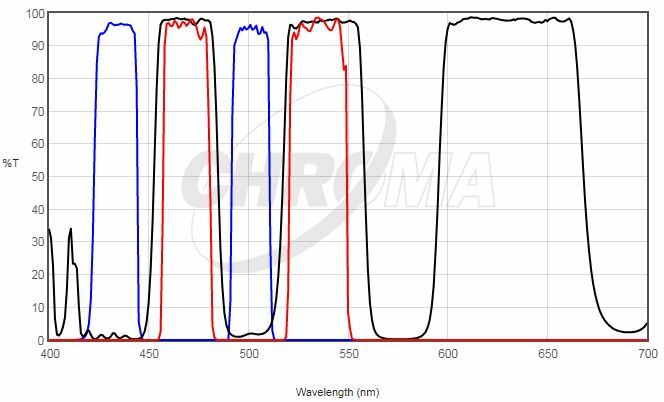 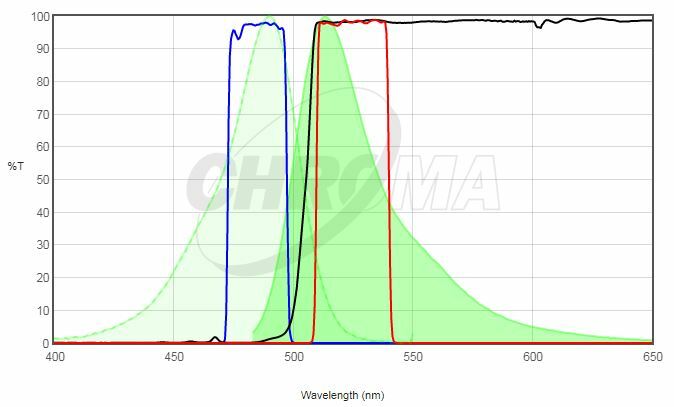 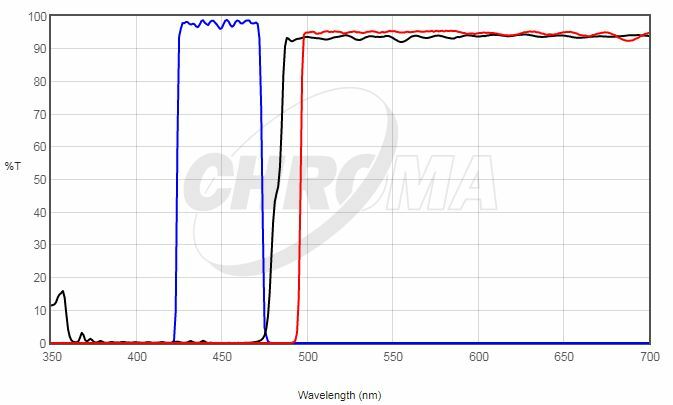 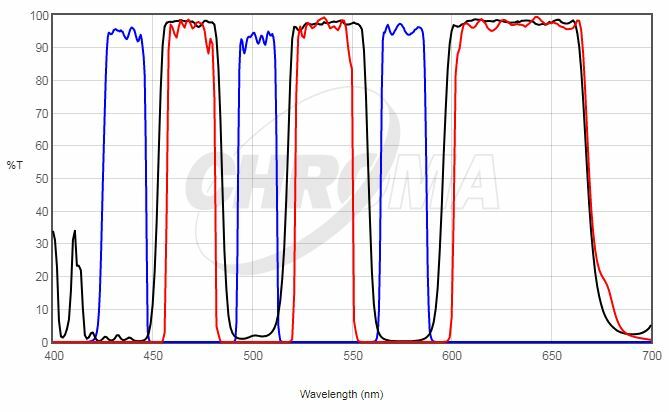 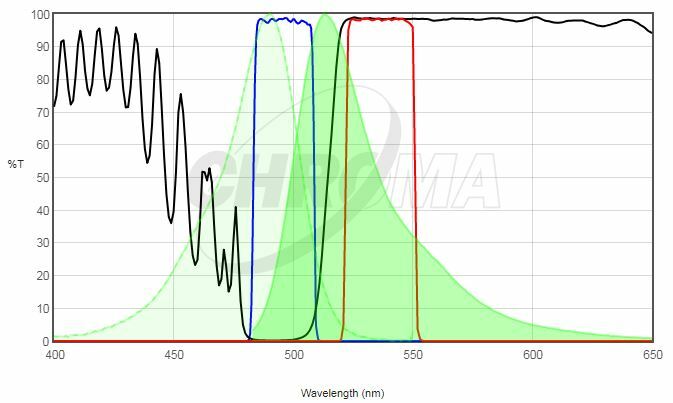 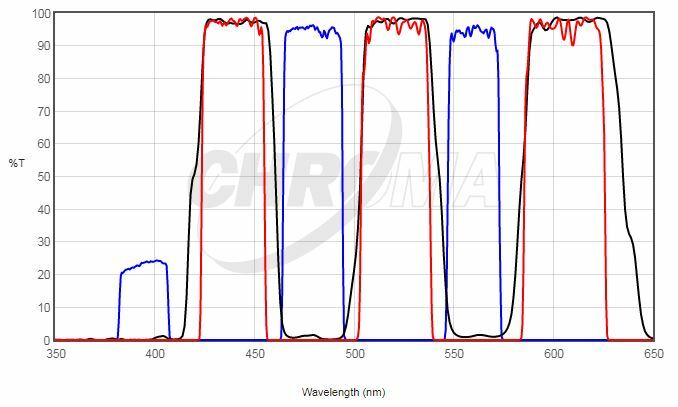 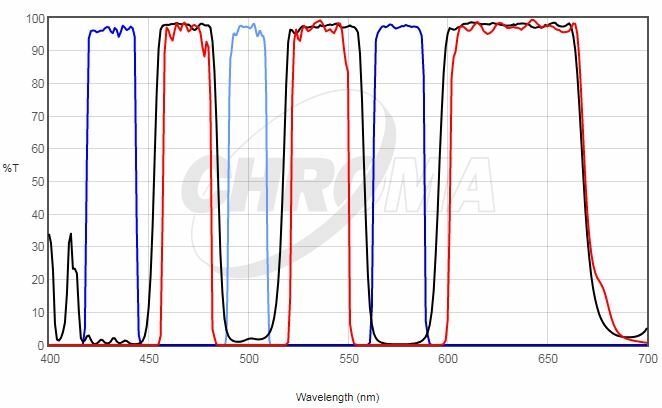 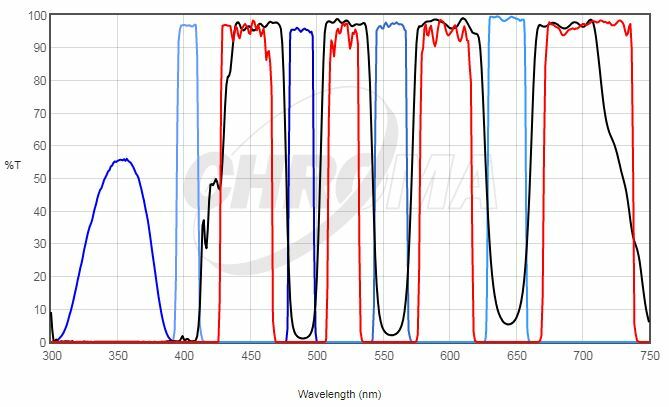 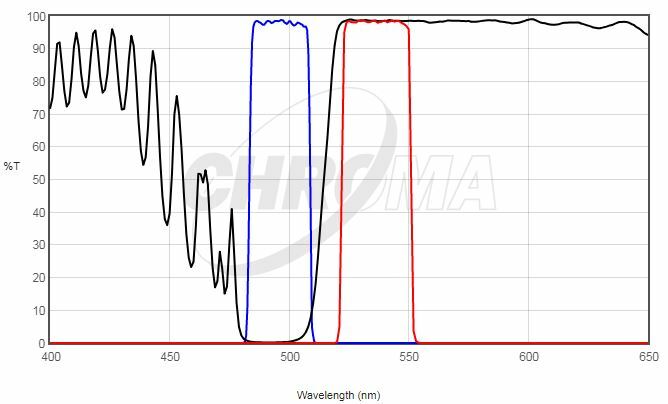 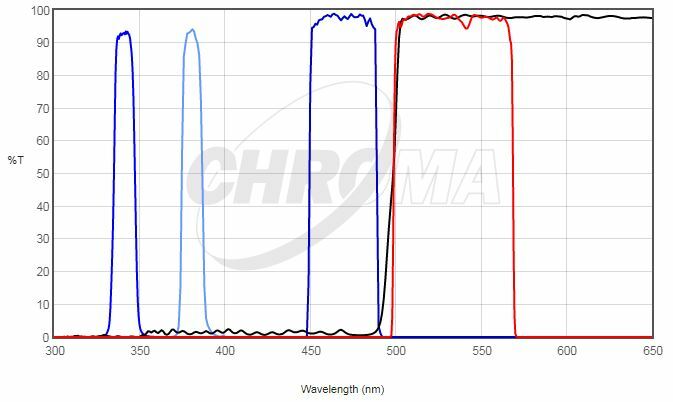 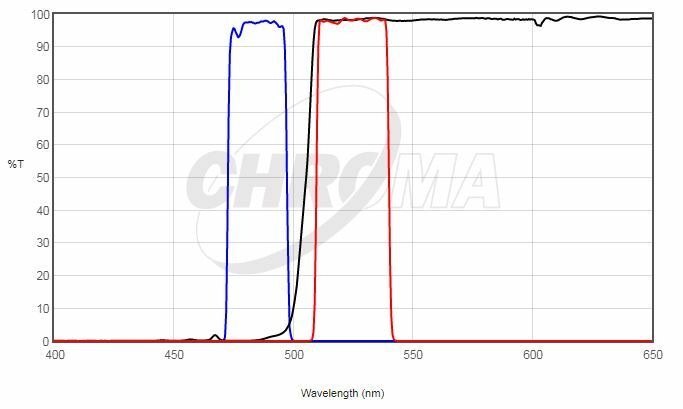 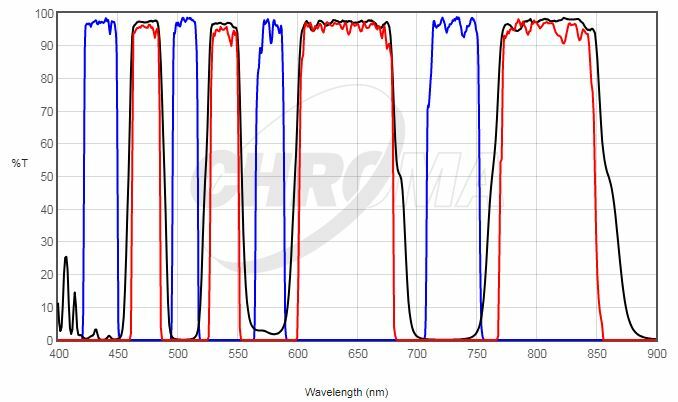 NOTE: sets with multi-band excitation filters are not appropriate for imaging with a monochrome camera. 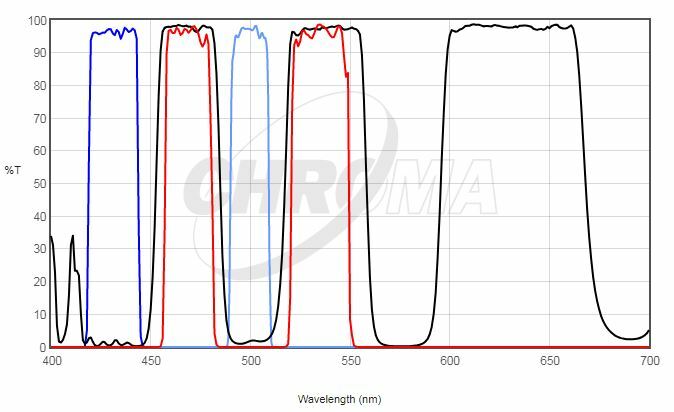 NOTE: These require the use of filter wheels or sliders, or image-splitting devices to hold multiple individual filters. 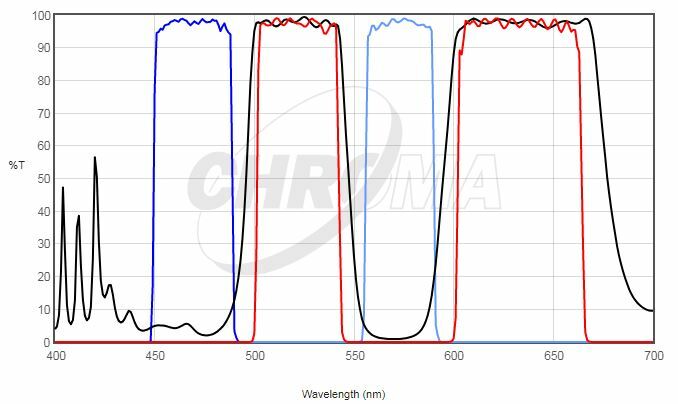 A version of the 89000 Quad set with a quad band emisison filter and four individual excitation filters for use in an external filter housing such as a filter wheel, similar to Chroma’s original Pinkel filter set. 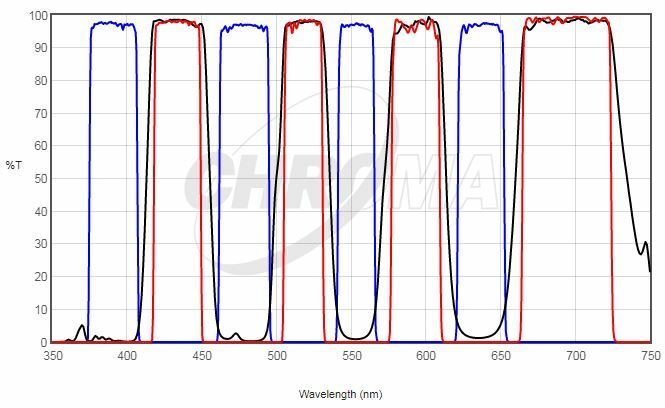 Allows for selective excitation of individual fluors in sample containing multiple fluors. 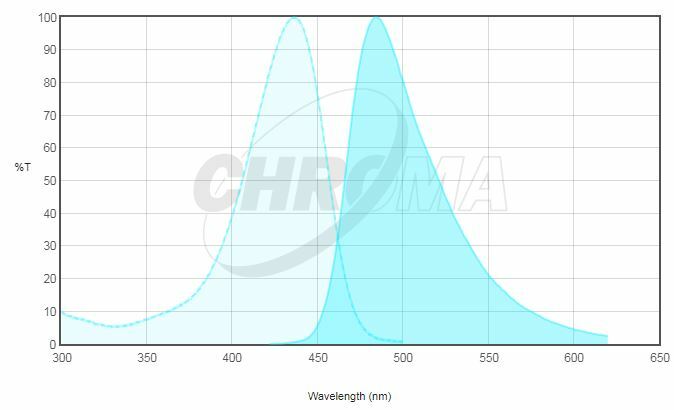 Appropriate for live viewing or image acquisition with monochrome or color cameras.